Watch this webinar on demand and learn how to avoid acoustical/pulsation problems when designing reciprocating compressor and piping systems. Pulsation and vibration problems in reciprocating compressor systems are common; minor design oversights or process changes can result in major consequences to the system and costly production restrictions or safety risks. In this webinar, our pulsation specialists will discuss common design issues and simple troubleshooting options. Our experts will share valuable tips and lessons learned from their decades of experience with reciprocating compressor vibration design and troubleshooting. This webinar is relevant to packagers, project managers overseeing the design or retrofit of reciprocating compressor installations and owners and operators of reciprocating compressor systems. The session takes approximately 60 minutes. 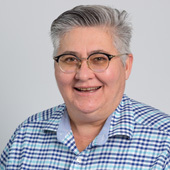 Carol is a senior engineering technologist with over 30 years’ experience working in the oil and gas industry. She has worked for Wood’s vibration, dynamics and noise service for the past 25 years. Carol has a unique mix of hands-on field and troubleshooting experience as well as acoustical, mechanical and piping stress design expertise. Carol has co-authored several papers and has conducted training courses for our customers and at industry events and institutions. Joshua Haff is a professional engineer with 10 years’ experience in the oil and gas industry, including 8 years at Wood's vibration consultancy. 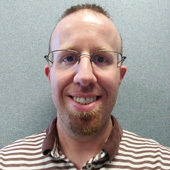 Joshua’s specialties include acoustical simulation and dynamic finite element analysis, with further experience in pipe stress analysis, field vibration measurement and troubleshooting of reciprocating compressor systems. Joshua has also presented several training courses on vibration and pulsation.